Unfortunately, the league table paints a team on the verge of relegation. 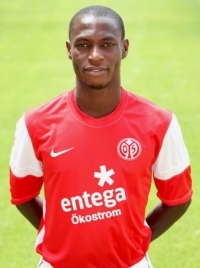 Anthony Ujah, who joined the team in the winter transfer season and came into the match in the 61st minute for Quaison, acknowledged their impotence against Augsburg. However, Utah still believes Mainz can surmount their problems and survive relegation angst. Mainz have produced important personalities like Jurgen Klopp, Thomas Tuchel and Christian Heidel among others. The current coach, Sandro Schwarz, could walk in their footsteps. Their next games are against Leipzig, Dortmund and Bremen. I hope they can get their acts together and revive the fighting spirit that is associated with Mainz in the Bundesliga. N.B Leon Balogun, another Nigerian that plays for Mainz could not see action against Augsburg because of bruised ribs.